Hi everyone. I’m thrilled to start off the day by breaking another exciting announcement here on the Disney Parks Blog about two new Specialty Room offerings coming to the Walt Disney World Resort – health and wellness suites and Royal Guest Rooms. Beginning this fall, guests looking for some rest and relaxation can indulge in new health and wellness suites, which will debut at Disney’s Contemporary Resort. 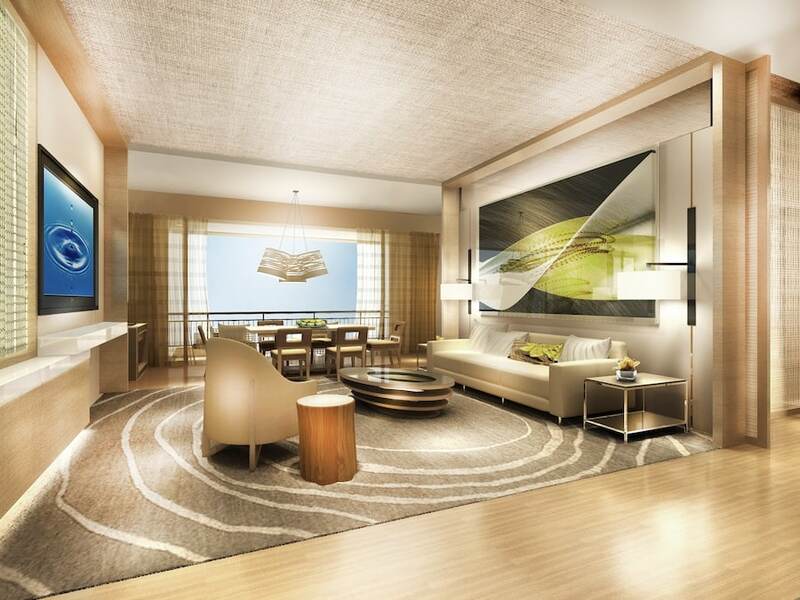 These suites will feature bamboo flooring, 100-percent cotton linens, non-allergenic wrapped mattresses – as well as great views of Magic Kingdom Park and Bay Lake. Bathrooms on this floor also will be equipped with rainwater showers and tea tree oils. Guests staying in these suites also can enjoy the benefit of having cardio equipment right in their room. And they’ll have daily access to seasonal and organic fresh foods at the concierge lounge, and can enjoy yoga sessions and spa treatments at the resort’s renovated wellness studio. Exciting enhancements also are taking place over at Disney’s Port Orleans Resort, with 512 Royal Guest Rooms planned to debut by March 2012. The story behind these lush rooms is that Princess Tiana (“The Princess and The Frog”) invited some of her royal pals – Belle (“Beauty and the Beast”), Jasmine (“Aladdin”) and more – for a vacation getaway. 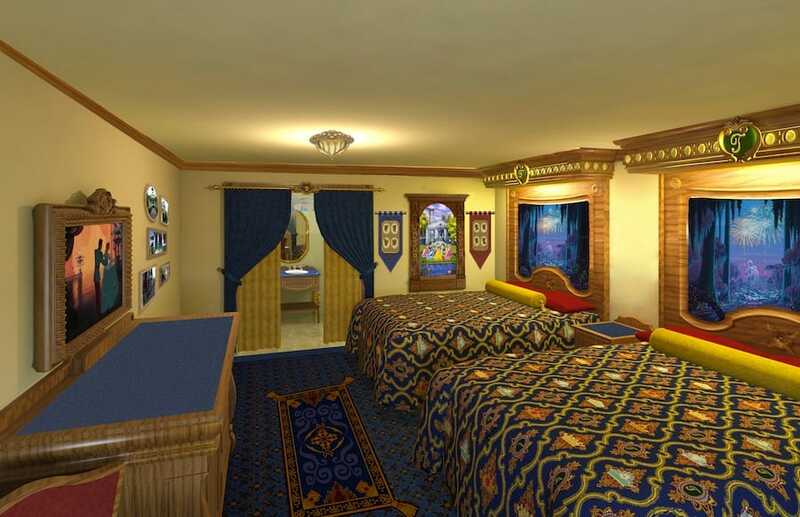 Princes and princesses of all ages can enjoy their luxurious lodging quarters, which will include ornate beds that feature headboards with fiber-optic special effects, and gold and crystal accents. Guests also can enjoy artwork and special mementos left by Tiana’s royal friends. These rooms are the latest in Disney’s Specialty Room line, which already includes pirate-themed guest rooms at Disney’s Caribbean Beach Resort, Donald Duck-themed rooms at Tokyo Disney Resort, and more. More Specialty Rooms will be added to the collection when Disney’s Art of Animation Resort debuts in May 2012. Guests can begin booking the new Specialty Rooms mid-summer. 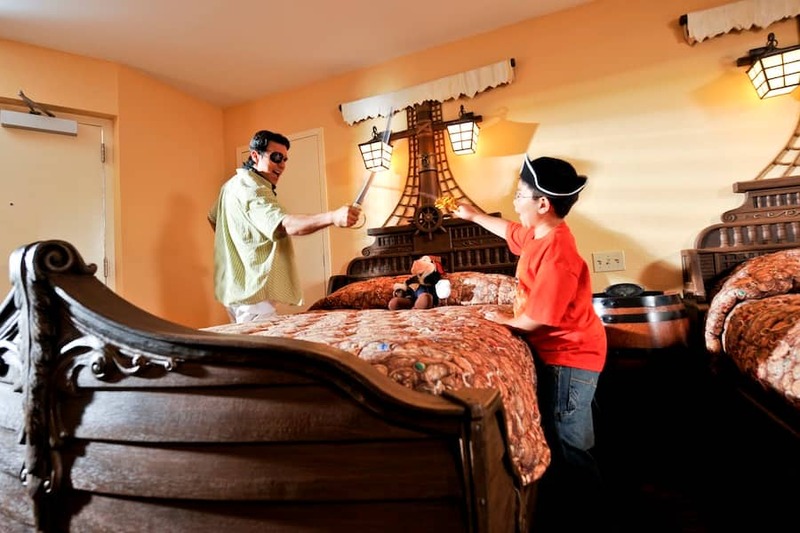 The existing pirate-themed rooms can be booked now by visiting www.waltdisneyworld.com or calling 407-939-7429. Oh yeah, and make it a “mixed” category hotel. Deluxe, moderate and value rooms all in one building, so everyone could enjoy it. PLEASE, Disney, create Haunted Mansion rooms! In fact, I’ve always thought a Haunted Mansion Hotel, situated in the empty area on Bay Lake, northeast of Fort Wilderness, would be an instant hit. I’m picturing a Wilderness Lodge layout with iron “face” railings, like the railing surrounding the Doom Buggy path around the HM ballroom; lobby chairs like the face chair in the HM; big cobweb draped chandeliers hanging from the ceiling; purple “face” wallpaper…. The possibilities are limitless, really. The only way I could love WDW more is if such a hotel existed. Please do this, Disney! We’ve been to WDW for the past 5 years and have stayed in a different resort each time just to get a feel of what each has to offer. We’ve never had a bad experience at any and out of all of them, my personal fave is POrleans French Quarter. I like it’s not a “destination location” for other guests. Meaning it’s not on the dining plan. We’ll making reservations soon for the next trip. Will any of these rooms be in the Aligator Bayou section and what is the price range? We are a family of 5 and we have stayed at POR our last 3 trips. We consider Port Orleans Riverside as our home away from home, because they have rooms that can fit our family of 5 and the grounds are just beautiful. My 3 daughters would love the Royal themed rooms. We would love to have more choices for a family of 5 that is not a deluxe resort/price, and yet do not want a value resort either.We want more moderate resort choices. This is very exiting and thank you for sharing this with us! I don’t have any information yet as to what buildings the new rooms will be in, and the price range has not been announced. I do see on Disney.com that the pirate-themed rooms at Disney’s Caribbean Beach Resort are a little bit more than the regular guest rooms. Your best bet will be to call and specifically request one of these rooms when it’s closer to opening. Being a former Cast member of Port Orleans, I am excited to see this come about as I have imagined that Princess Tiana and teh theme of the movie would have a place to call home ~ ♥ ~ Could there be character dining experiences in the making too???? These rooms sound amazing. We’re DVC though so it would be rare that we would visit outside of DVC. What inspired me to comment though was that the concierge for the Contemporary rooms would provide seasonal and organic fresh foods. 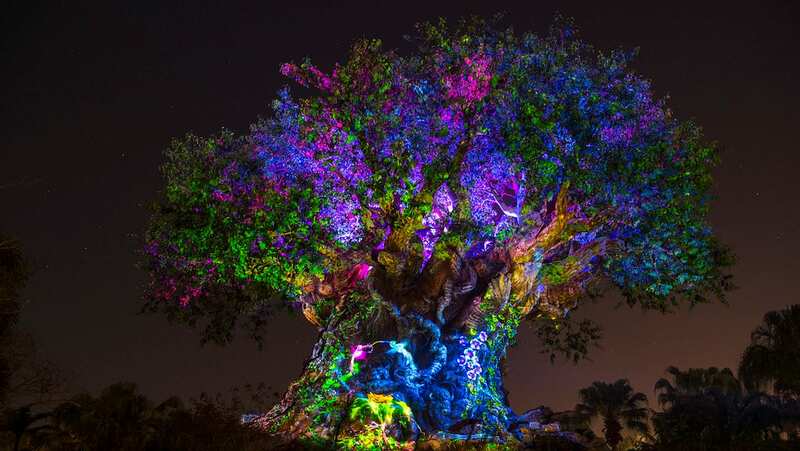 I look forward to the day that organic foods are more readily available throughout Disney – this is top of my wish list. I assume that with a total of 512 new-style rooms, two entire Magnolia Bend mansion buildings (maybe Parterre and Oak?) will get the Royal transformation? That would leave the other two mansion buildings, plus all of Alligator Bayou, with ordinary rooms – still to be nicely refurbished with queen beds and flat-screen TVs though, as per the recently completed work at French Quarter. What I still can’t quite figure out though is, given the “Princess and the Frog” (and thus New Orleans) storyline, why no one considered French Quarter as being a better fit for the theme – or maybe the smaller size of the resort would have meant taking over too large a proportion of the rooms? Looking forward to seeing what magic Disney can work on these new rooms anyway! Oh my goodness!! I can’t wait to try out the rooms at Port Orleans! How adorable! Love that Princess Tiana is being featured as well- she and Arial are my favorites. Heh, not sure if I’ll ever be able to afford a stay in one of the wellness suites, but hey- I’d be happy to take a tour! The royal rooms look amazing! Port Orleans was already my favorite hotel and now it will be even better! Keep up all the awesome enhancements. grrrrr, every time I think that we might try another place besides WDW to enjoy, there come new fantabulous offerings. How can anyone resist? SO excited for these new rooms. I think a lot of people will really enjoy the new choices. I think the Royal Guest Room option is universally appealing to all different types of rooms. It would be nice to have some of these themed rooms in DVC resorts. Any word on if/when this could happen? I know where we will be staying next year! Royal rooms would just be the icing on the cake for my girls! The pirate rooms are very cool but they are really for boys. I’m glad they found something to make the girls happy. Love it! The Contemporary suites look amazing. The Port Orleans update looks interesting. I hope that’s not all the mansion/plantation side or all the bayou rooms. I rather like the beadboard, airy plantation look of the mansion side of PO and the bayou side is rustic enough to be good for boys. Synergy doesn’t have to carry a club to beat you over the head every minute, although I’m sure they will be popular. On the down side the colors are a bit dark for FL heat and the ceiling fans are gone. On the upside the Royal theme is fun. Hopefully the Royal Guest rooms are split across all sections of Port Orleans, leaving some of the original PO themes updated in both as well. Keep up the great ideas, Disney. There will still be traditional options as well. Roughly 500 of the rooms will be “transformed” into the Royal Guest Rooms. The rest will remain the same. Oooohhhh! The Royal Rooms are fabulous, just perfect! I love that they’re not “Princess” rooms but Royal, so also fit for a King (Queen, Prince-whatever!) And the Healthy rooms are lovely, though it would be nice if they were going to be offered at a lower price range (Contemporary, theme-park view, concierge=$$$) Love all the new resort choices coming soon. Our next vacation planning will be very difficult to make a resort choice! Yes, I was told that the Royal rooms were designed to appeal to BOTH boys and girls. Tiana’s royal friends will add special touches to the rooms – and not all of her friends are girls! No word on the exact dates for those rooms yet, but if your girls love Disney princesses you’ll have to check out the Bibbidi Bobbidi Boutique at Downtown Disney/Magic Kingdom Park. They do awesome princess makeovers for little girls, and a knight look for boys. Love the idea of themed rooms, and the Health & Wellness suites offers a wonderful option guests who are not only looking to continue their healthy lifestyle on vacation, but might also want to try a new resort experience. Continuing with creating rooms themed after animated and live-action feature films is something that will be fun for kids (of all ages!). The Princess & The Frog rooms look beautiful and is of course a perfect tie-in to the New Orleans theming of French Quarter. 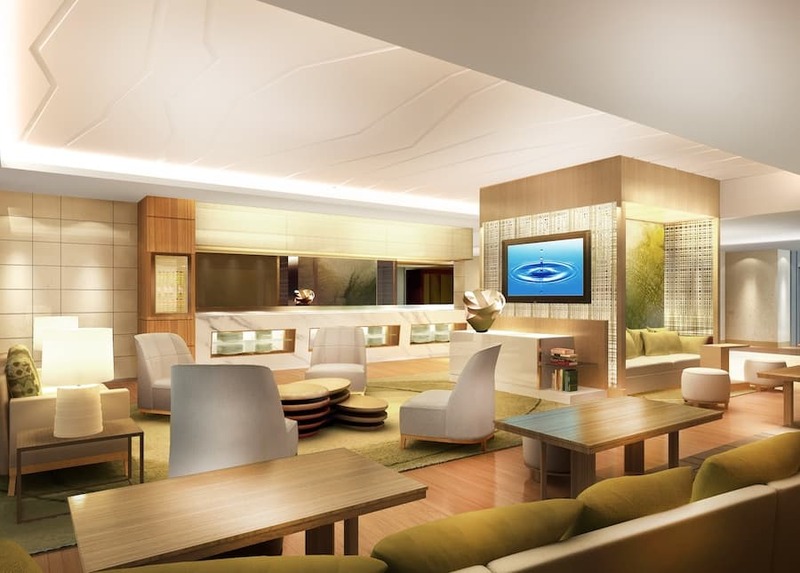 The rooms look elegant, well-appointed, and add a bit of luxury and whimsy to the resort. A Haunted Mansion-themed room would be awesome! I’ve actually heard rumors that someone in our building has a Haunted Mansion-themed office, complete with themed lighting. I have yet to find him, though! Is that for Port Orleans Riverside (Alligator Bayou or Mansions section?) or French Quarter? Curse you Disney! You keep offering me way too many fabulous choices. There’s already so many great options…and my family and I just want to try them all. ;-). I’m sure we’ll definitely have to book a Specialty Room but which one??? The pirates rooms look really fun. They have pirate ship-shaped beds! The Royal Guest Rooms look like they will be spectacular! And I’m excited to see the specialty rooms from the new Animation resort. I’m hoping for some elaborate Ariel rooms since The Little Mermaid is a large part of the resort’s design. I agree. They look VERY luxurious!